-2L water bladder and 350ml soft water bottle are both made of TPU material,and BPA free. -New multi-compartment design,large space to meet the long-distance running and cross-country running needs. -Mesh design:The shoulder straps and back are designed with mesh fabric,breathable and heat-generating. -Night safety: the reflective strip on the front of the pack strengthen the visibility in the dark night and keeps your safety when you are running or walking at night. -High quality nylon fabric, water repellent and wear-resistant, good elasticity.High elastic binding rope to enhance carrying capacity, can be used to carry a climbing stick.High quality buckle and zipper, solid and durable. -Adjustable&Anti-bouncing:the backpack is made of adjustable strap which gives it an amazing fit,so that it is suitable for most men and women.Designed on the basis of Body-exercise\'s rules,closely with your back ,don\'t waggle, this backpack won\'t move up and down in your sport. 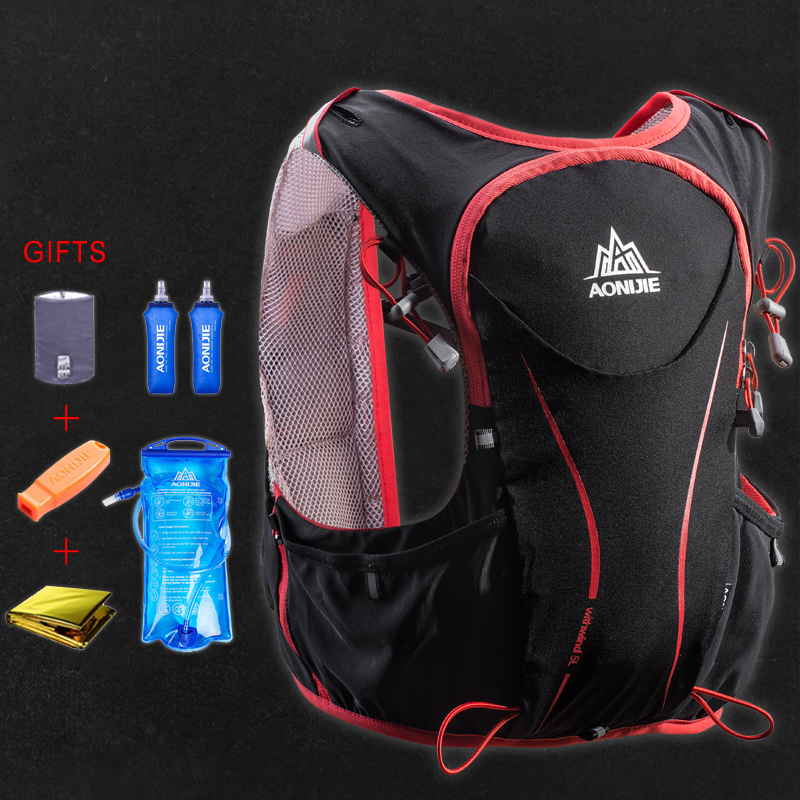 3.Suit for:Trail Running,Hiking,Camping, Mountaineering,Travel,Cycling,Climbing etc.